Here at Budwig Molded Products, we talk a lot about our rubber bumper feet, which are our most popular and versatile product. However, every once in a while we like to take a moment to remind our customers that we sell other products, too, like our collapsible tilt stands. These little guys are simple but effective if you need to add some lift to your product. 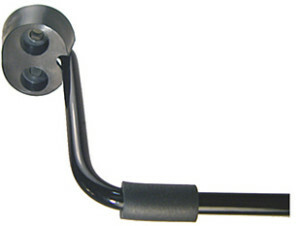 The tilt stand snaps into place, holding up your product for better positioning and reach. When it’s time to lower your product or to transport it, you can fold the tilt stand flat to conserve space and make traveling more efficient. Our tilt stands are made of steel with a black epoxy finish and include front and rear rubber bumper feet that resist slipping and damaging surfaces. If you need a tilt stand for your product, contact us today!